Static means fixed and dynamic means always changing. 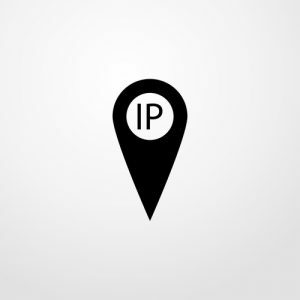 When applied to IP addresses, it means that a computer with a static IP address will always have this IP address over multiple internet sessions while a computer with a dynamic IP address will always have a different IP address whenever the user starts a new internet session. Usually computers that provide a service online will require a static IP address. This means email servers, web servers and so on will usually have a fixed IP. This IP can be changed if the need arises but manual configuration is required at the computer itself. This need to have a static IP address is due the use of Domain Name System (DNS) servers. A DNS server is analogous to a phone directory. When you surf a website, you don’t key in an IP address but you key in the URL which contains the domain name like google.com and this domain is listed in the DNS server along with its IP address. That’s how your browser knows to retrieve data from that IP address even though you just keyed in the domain name. Dynamic IP addresses came around because there just weren’t enough IPv4 addresses available for every computer on Earth. This meant that people had to reuse IP addresses that others have used previously. Each time a user goes online, a new IP will be assigned by the Dynamic Host Configuration Protocol (DHCP) server. The DHCP server is configured with a fixed set of IP addresses to allocate to users. Once the number of people requiring an IP addresses exceeds the number of available IP addresses then those people will not be able to go online. Once a user goes offline, the IP address goes back into the available pool ready to be assigned to someone else.